Almost three years ago my families life changed forever, we welcomed our beautiful Elliot into this world. Elliot is my nephew and was diagnosed with Fragile X Syndrome (FXS) at eighteen months old. This was a shock to my whole family as we were not aware we carried this horrible condition. FXS is a genetic syndrome causing among many things, intellectual disability, autism, low muscle tone as well as a myriad of other issues including sensory processing disorder, feeding issues, seizures and anxiety. Unfortunately for all sufferers of FXS, there is no known cure and in Australia there is extremely limited medical knowledge. This makes accessing effective treatment extremely difficult. 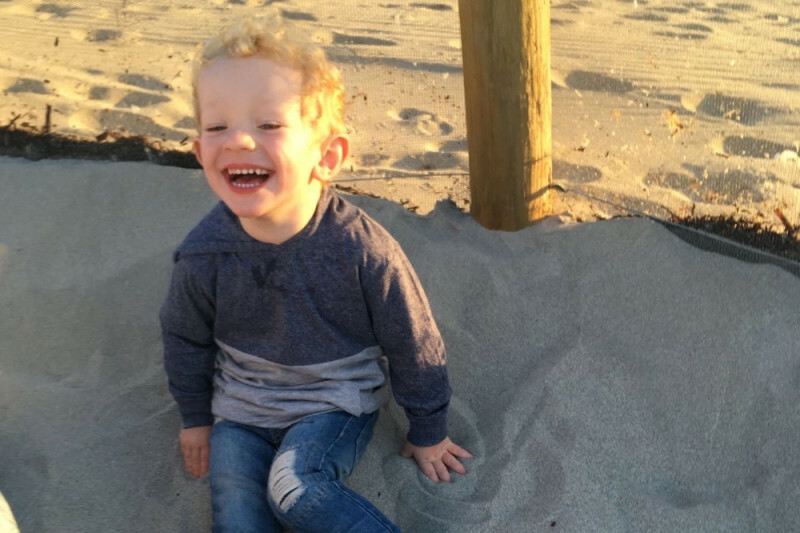 Currently Elliot attends occupational therapy and speech therapy weekly, however he has not shown any large improvements since he started over 12 months ago. Although he is almost three years old he remains non-verbal, can't eat anything other than puree due to feeding issues, often has seisures in his sleep and still remains in a pram as he can't comprehend simple instructions and can't walk far due to his low muscle tone. What this condition is doing to our beautiful little boy is heart breaking but we continue to hold hope that with the correct treatment he can show FXS who's boss! My sister and her husband have researched tirelessly to find the best possible treatment for Elliot so like all other children, he too can live a long and fulfilling life. Unfortunately the treatment Elliot needs is only on offer in the USA at the MIND Institute in Sacramento, California. It's here Elliot can see the world renowned doctor in the field, Doctor Randi Hagerman who is the leading player in research of and treatment development for FXS. Doctor Hagerman holds a wealth of knowledge about Elliot's condition and is able to provide interventions that unfortunately are not offered by Doctors in Australia, due to their limited knowledge of the syndrome and its biological mechanics. Due to Elliot's condition, he requires frequent therapy and medical needs, so my sister has resigned from her job in order to care for Elliot full-time. Her husband works long hours, six days a week to provide for their family however when the cost of living is taken out and then Elliot's expensive therapies and medical expenses it doesn't leave much each week for them to save in order to get Elliot to the states for this much needed treatment. Although they are saving, it is going to take a long time to save what is needed for them to privately fund the trip and treatment. Due to Elliot's age, he needs to be seen by Dr Hagerman as soon as possible. This will mean his prognosis will be much better due to early intervention. This is why time is of the essence and we want to get him over there as soon as possible. We understand that not everyone is in a position to support this cause by donating funds, however please show Elliot your love and support by sharing this page and spreading his story. Awareness for all children like Elliot is also very much needed! All funds raised will go directly towards paying for Elliot's trip to the MIND Institute in Sacramento, California and his treatment for FXS. Thank you for showing our little boy your support- it means the world to us! This trip to the USA will change Elliot's life. Good luck with your fight Elliott, I hope this helps you get to America.